Scallion broth and roasted garlic are excellent natural remedies for the cold and flu. Often when the seasons change, so can our health. As the weather gets colder, more people come down with seasonal illness, though the reason why is not quite clear. But you can prepare by remember that food can be medicinal and help you heal quicker or even prevent getting sick in the first place! These following recipes for scallion broth and roasted garlic are easy to make and can be used to help heal. Or you can add veggies to the scallion broth and make a lunch with roasted garlic on the side for a well rounded cold weather meal. Scallions have long been a natural remedy for cold and flu due to their high content of an "organosulphur" compound called allicin, which has antiviral properties. This element is also responsible for soothing sore throats, which is why it is often used in healing broth recipes. 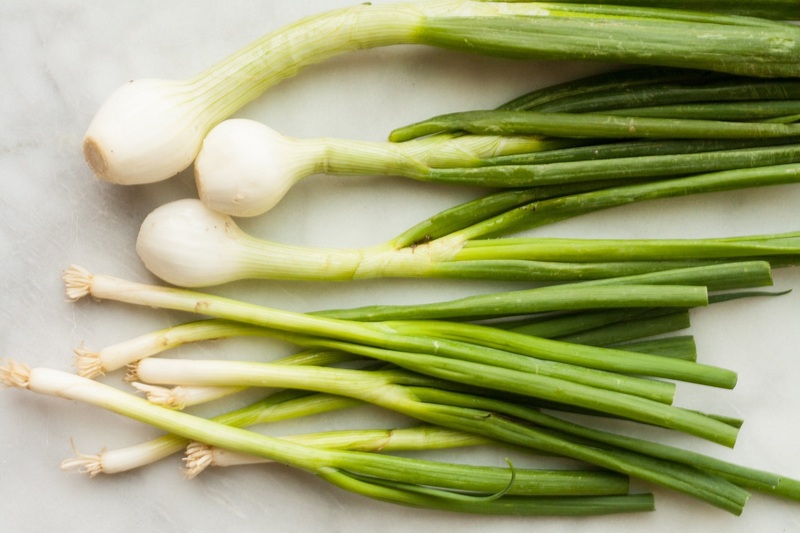 Another perk of scallions is the high amount of vitamin C, but even more impressive is the high amount of vitamin K - around 172% of RDA per serving! This nutrient plays an important role in brain health. They are also high in vitamin A as well as folates, iron and quercetin, making them an all around superfood that can easily be added to your diet. The nutrients found in scallions are also known to aid in candida overgrowth in the intestinal tract, while the allicin compound is also beneficial at alleviating gastrointestinal distress. It also helps with parasitic infections; and all of these health issues are what some holistic health practitioners believe weaken our immune system, making us more susceptible to cold and flu infections. Chop up one entire scallion. Boil in spring water for 5-10 minutes with the lid on. Add a small amount of tamari for flavor and sip it slowly. Many people like to bundle up after this and lie down as the body starts sweating. Like scallions, garlic contains allicin, which is why it is known as an all around anti-viral, ant-bacterial herb. It has been used to combat the common cold and flu for centuries. Due to recent research, garlic is getting a reputation with the medical research community - even though the holistic community has known and touted the health benefits for decades. Some of these benefits shown by research are that garlic inhibits cancer cells from reproducing, reduces high blood pressure, wards off atherosclerosis (hardening of the arteries), and decreases risk for heart attack and coronary artery disease. Cut the upper tips off of 4 "Heads" of garlic (not cloves). 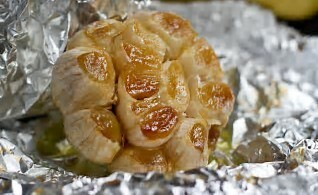 Place the garlic (cut side up) into a baking dish. Drizzle with olive oil or cooking sherry. Bake at 300 degrees (F) for about 2 hours until soft. You can squeeze these directly onto toasted bread, onto your food or - if your a big fan - eat them as they are.